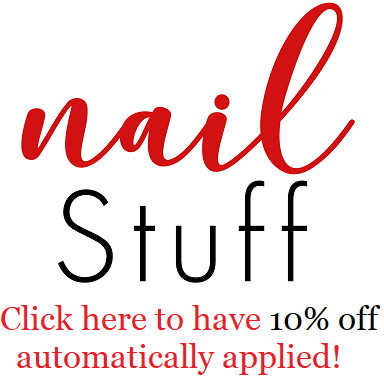 Intense Polish Therapy: Glisten & Glow | Black Friday Duo & Sale info! 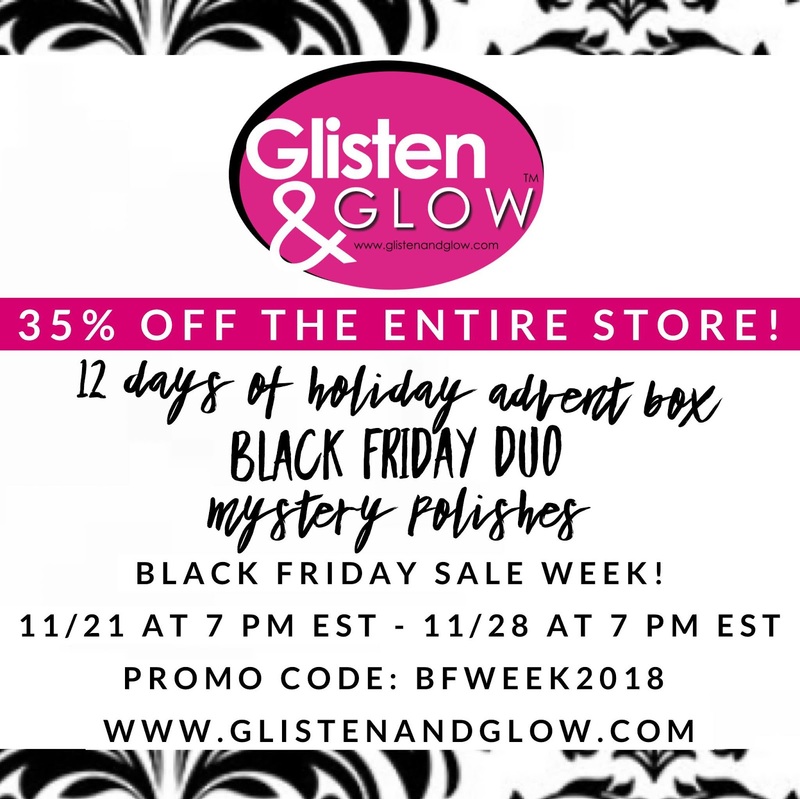 Glisten & Glow | Black Friday Duo & Sale info! 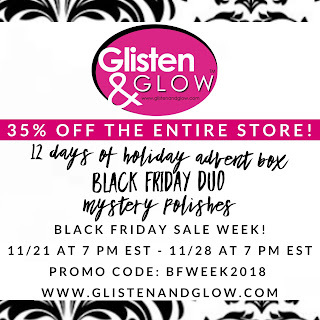 Hey loves, today I'll be sharing my swatches of Glisten & Glow's Black Friday Duo, as well as some sale info. So let's jump right into it! $hopping Is My Cardio starts off with medium purple creme base filled with holographic particles, iridescent shimmers, small holographic glitter, & multichrome flakies. Opaque in two coats. Glisten & Glow - T-Day Turns To B-FriYAY! T-Day Turns To B-FriYAY! starts off with a cream dark & dusty teal shade, that lightly leans green in person. Sadly my picture mainly shows the blue, so please keep that in mind. This polish is full of fine holographic particles, iridescent shimmer, small silver holographic glitters & multichrome flakies. Two coats for full opacity. Price: $11.00 each for $20 for the duo! !